So I am sitting here in an airport hotel, listening to the great sound of starting airplanes, having a crappy internet connection for a high price and soon leaving to the airport to go to the US. First stop will be Seattle (Oct 23-Oct 29) for the Plone Conference, which we will stream into Second Life and then I will head over to San Francisco to meet some Second Lifer’s and see that cool city. So if you happen to be in SF or in Seattle and want to meetup just send me a note either via IM or email. (but it also means that I am sort of unresponsive when it comes to worldofsl.com or other stuff. But it will not be forgotten). In less than one week the 4th annual Plone Conference will start in Seattle and I will go there (yay!) 🙂 I am very much looking forward to it as there will be over 300 people from the community there and it’s always fun to meet and discuss with them (and listen to the talks and tutorials of course). More information about the conference here. One highlight of the conference will be definitely the keynote of Eben Moglen who is among other things working right now on the GPL v3, an important Open Source license. What is not so known is the fact that he was also involved in founding the Plone Foundation. So what is Plone? Plone is an open source Content Management System written in Python. It tries to be user-friendly and flexible at once. I am personally using it for my company as we do Plone consulting and additionally we take part in the development process via sprints etc. 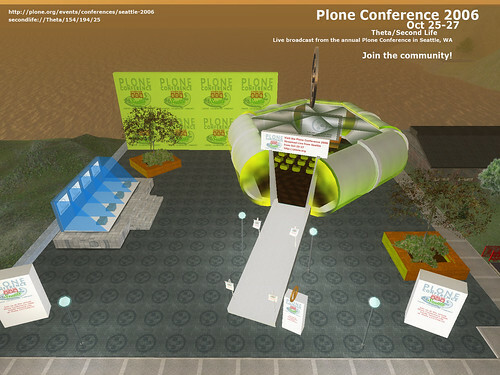 And now we are trying to bring this conference to Second Life (at least partly as I cannot stream every of the 4 rooms). We checked the bandwidth and I happen to have some free server bandwidth around. So a location was build on my new plot in Theta (photos below). And now it’s hopefully all ready to go. if you want to join, feel free to do so from in the time of Oct 25-27 approx. 10am to 6pm SLT and check out the complete agenda here (I hope to get all keynotes streamed and I will choose one of the rooms in the meantime). We will also try to get a back channel for questions working. Dues to the lack of time we don’t have SL projected on the wall though. 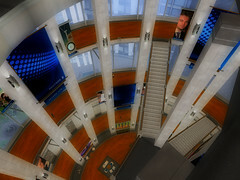 The conference location will probably convert to some information/educational place in the future. Already on there are 4 video booths which play videos about how to use Plone and an interview between me and one of the Zope developers (on which Plone is based) back from the EuroPython conference in Geneva. So in the future I want to add more such videos and video blogs and more information material on the open source projects Plone, Python and Zope. I am very excited about my trip to the US and the conference in SL and RL and if you are interested in it I hope to see you there! Over 1 million Second Life residents now! So we passed the magical part of 1 million users just recently. Also according to Linden Lab the website is slow because Yahoo featured Second Life on main portal page so maybe this was giving the final rush of new signups to get over this mark. 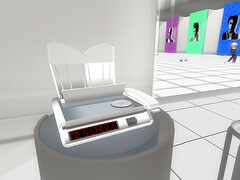 So what does this mean now for Second Life? Will it attract more businesses? Will it break down Second Life in the long run? Will it mean more attacks? Will it mean more fun as more people are to meet from all over the world? 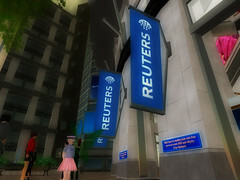 The news is old already that Reuters entered Second Life. 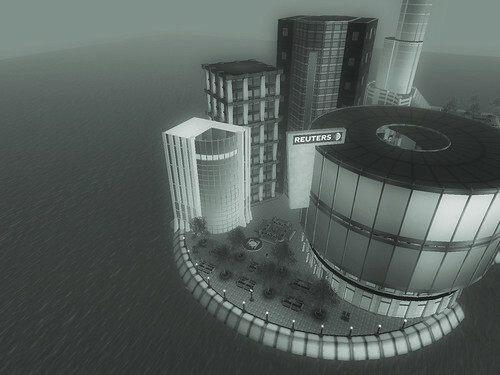 So after one week of events by Millions of Us it seems that we will now have a week with events by The Electric Sheep Company if we also take the upcoming concert of Ben Folds in the aloft island sim as well as the entrance of Sony BMG into Second Life. 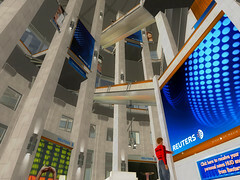 So find below some of the photos I made today at the Reuters sim. Quite some people have been around (and still are), so take a look yourself! Just realized it. This time it’s from Aren Mandala (aka real life famous blogger Michael Verdi) and you should check it out here. For more informations look at my other posts here, here and here. Back on last tuesday the SUN press conference was happening. 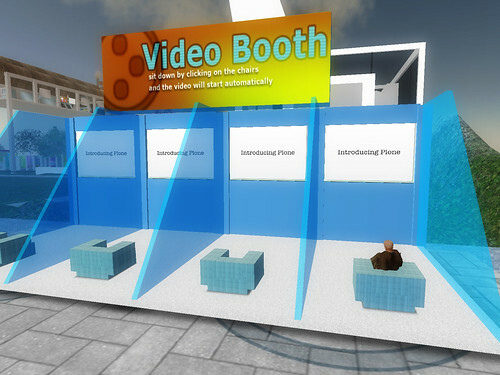 See here my video summary of it (done for Millions of Us who ran the event in Second Life).